Retailers are doing battle in the online space. Mainly it’s traditional retail giants trying to keep up with Amazon. Now Amazon is hitting back. If you have an Amazon Rewards Visa Signature Card from Chase, and you’re an Amazon Prime member, you recently received something in the mail that makes shopping at Amazon even more attractive. If you don’t fall into both of those categories, Amazon just gave you another reason to do so. A few months ago I applied for an Amazon Rewards Visa Signature card from Chase because of a $70 incentive that brought down the price of upgrading my computer. That credit card also came with some rewards benefits. The Big News: More Rewards! The exciting news is that Amazon has recently announced that Amazon Rewards Visa Signature card holders with an eligible Amazon Prime membership will now earn 5% back on purchases at Amazon! An increase of 2% back on Amazon purchases may not sound like much, but if you’re a frequent online shopper at Amazon, it can add up quickly. For example, if members of your family happen to buy a fair amount of electronics equipment or Christmas presents from Amazon. I only mention those two specific items because my family falls directly into both of those categories. How Can I Tell If I’m Eligible? It’s important to mention that the Amazon Rewards Visa Signature rewards program is not cash back, especially for people that do not currently have one, but were thinking of getting one especially with this announcement. The rewards can be used towards future purchases at Amazon. This may be a deal breaker for some, but for frequent Amazon shoppers it will provide a welcome future discount on the purchase of their choice. How Much More Reward Can You Earn? If a person spent an average of $100 per month at Amazon, that would equal $1200 for the entire year. At 5% back they would earn $60 back as opposed to $36 back with 3%. That’s only an increase of $24, but remember, it’s free rewards. A person could save their points for a special purchase for an anniversary or birthday. Those rewards points do add up. Nobody is going to get rich through credit card rewards. Credit card rewards are a tool that if used properly can give users a little kickback by buying things they were going to buy anyway. This is the first card that I’ve been exposed to with no annual fee that gives 5% back. If you’re in the credit cards rewards game, the Amazon Rewards Visa Signature Card from Chase might be worth looking into. It is cash back, you can choose to redeem rewards in $20 increments directly to your bank account via Chase’s web site if you don’t want to use them for Amazon purchases. I already have the Amazon credit card from Synchrony Bank and that gives me 5% cash back automatically each month (taken off my bill). It’s a virtual card too — no card to hold/carry/file. It’s only good at Amazon. I can do better than the 2%/1% categories: Costco Visa (4% gas, 3% restaurants) and Fidelity Visa (2% on everything). I thought this blog was about being an Enemy against Debt. It seems to have become an advertisement for credit cards. Credit card companies are not in business to help you. They are in it to make money off of you. There have been so many studies that prove with a credit card you spend more than if you use cash. Most will not be able to pay off their bill monthly and will accrue some serious interest to also pay off. I can make some irrefutable arguments against credit cards. You don’t need them to get a hotel room, rent a car, or buy airline tickets. A debit card will do all of that without piling up debt. For an emergency fund, you can simply save up cash. It takes some discipline and hard work, but relying on credit when things go wrong is a trap. And if you want to justify using credit cards for rewards, it seldom works out in your favor. Using credit cards is not a good tool for financial discipline. I hope this site gets back to really being an enemy to debt, and can offer practical help with out the use of the enemy’s biggest weapon. 3.) Report on things that are going on in the financial world. This post falls into category #3. In no way am I trying to be a commercial for credit cards. We agree that you do not NEED to use a credit card. You can get around it in every situation. Sometimes, however, it is more convenient to use one (having a security hold on your own money linked to a debit card is problematic sometimes – I even wrote a blog post about that…). I hope you will continue to visit, read, and comment here at EOD. There will always be plenty of articles of how to save money in every day life, and how to avoid debt, in addition to simply information about things going on in the financial world that people may find interesting or beneficial. 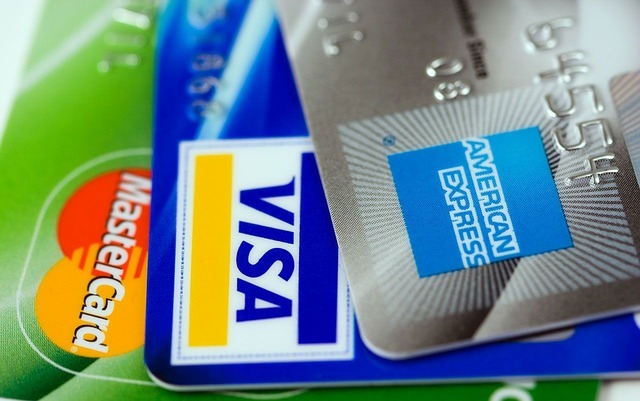 This is an article about the subtle psychology of credit cards. That’s a great article, Anita. It provides a great reminder of the pitfalls of using credit. One should always have their eyes wide open when spending their hard earned funds.